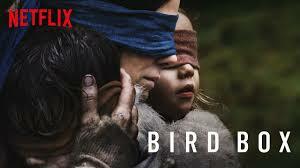 ASLEF general secretary Mick Whelan has spoken out after footage was posted online of a young man walking along a railway line while wearing a blindfold in a ‘challenge’ inspired by the Netflix series Bird Box. The show stars Sandra Bullock as a mother who wears a blindfold while trying to avoid seeing mysterious forces that cause people to commit suicide. Netflix has urged fans not to take part in an online challenge which involves attempting everyday tasks while blindfolded. It has resulted in injury, with some people crashing cars and running into walls. Video of Elliot Giles, uploaded to his YouTube channel on Sunday, has been viewed more than 200,000 times. Mick Whelan said: “I would urge anyone who is thinking, for whatever reason, to try the Bird Box challenge not to be so bloody stupid. It is reckless – and it is a crime – to trespass on the railway track. “It is not only irresponsible, and highly dangerous, but you run the risk of prosecution, and a criminal conviction, even if you are not seriously injured or killed. “There is also the danger to everyone else who uses the railway – staff as well as passengers – and this job is difficult enough as it is without people walking along the railway track without being able to see where they are going.